In R v Rahman  UKHL 45, Lord Brown began his speech by stating – “There are many more murderers under our law than there are people who have killed intentionally. The actus reus of murder is, of course, the killing of the victim; the mens rea (established in R v Cunningham  AC 566) is the intention either to kill the victim or at least to cause him some really serious bodily injury—grievous bodily harm as it used to be called, gbh for short. As this appeal illustrates, moreover, there is a further group of murderers too, those who did not intend even gbh but who foresaw that others might kill and yet nonetheless participated in the venture." Rahman is now the highest English authority on "joint enterprise" as applicable to murder. It establishes that where a principal offender committed an unlawful killing with the requisite intent for murder, a secondary party would be liable for murder on the basis of his foresight of what the principal might do and not on his foresight of the intention with which the principal might perform his act. In the recent case of Starfield Badza v R  EWCA Crim 1363, Badza had been convicted of murder of Billy Ward on the basis of “joint enterprise.” Ward was knifed many times and the evidence pointed to a co-accused Lubango as being the actual knifeman. Nevertheless, Badza was involved. The Court of Appeal applied the House of Lords decision in Rahman and dismissed Badza’s appeal. Few would have any problem with the dismissal of Badza’s appeal. However, one wonders just how many people are now in jail for murder as a result of them being on the periphery of some serious act of violence. Did they all truly have foresight of what the other(s) might do? The law needs to send out a strong message to those who involve themselves in violence or who have potentially violent acquaintances. Nevertheless, is this strong message working injustice? Is there a case for law reform? 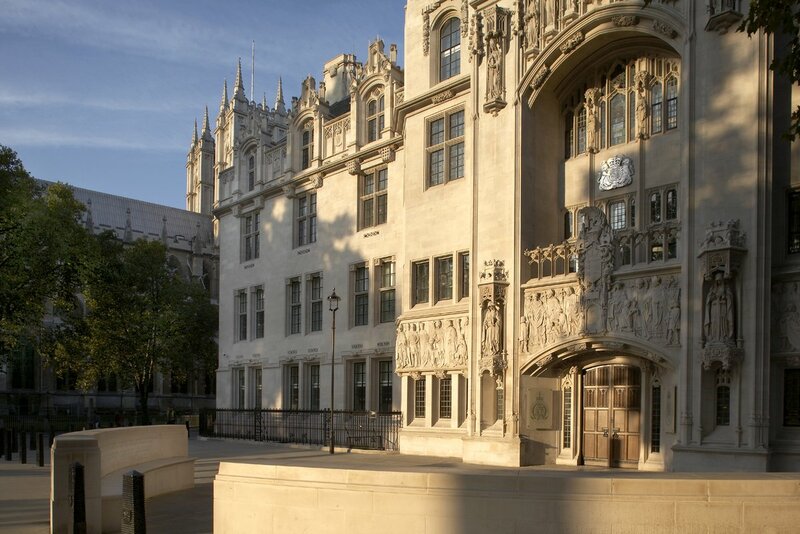 The Terrorism Order has been quashed by the Supreme Court in HM Treasury v Ahmed  UKSC 2. Also, by a majority, the court quashed one article in the Al-Qaida Order. The judgment can be read on the court’s website. The case is interesting in that the court has insisted that persons affected have certain basic rights which were being denied under the Orders as they stood. It is now being reported that Britain is, along with other nations, ready to “buy off” the Taliban with “millions”. The war in Afghanistan has already been lengthy (2001) and has claimed (as at 24th January) 251 British lives. Of course, it is said that the money will go to President Karzai’s government and its use would be monitored. The Taliban would not get cash. Why then do I feel uneasy? Perhaps this report in The Times (Sunday 31st January) is the answer. It seems that there is a serious gulf between promises made to moderate factions by the government of President Karzai and their ability to honour those promises. The Supreme Court had declared the Terrorism Order and one article of the Al Qaida order to be void. That which is void has no legal effect. The Treasury asked the Supreme Court to "suspend" the operaton of its decision but the court, by a 6:1 majority decision, refused to do so. See HM Treasury v Ahmed and others No.2  UKSC 5. It appears that the government is to rush through legislation with a view to ensuring that assets which were frozen (unlawfully as it now appears) will remain frozen. The legislation will need to have retrospective effect. See The Times 5/12/10. The question of when a court may suspend the operation of one its decisions is interesting. A suspended decision would have no effect until such time as it became operative. That is not the same thing as saying that a decision only has prospective effect (i.e. immediately effective but for the future only). The usual situation with English judicial decisions is that they have both retrospective and prospective effect. So, was the war lawful? The Head of Legal blog argues that the Iraq War of 2003 was lawful. I have put my own, admittedly non-expert, view on that excellent blog which is to the effect that the trail of UN Security Council Resolutions from Resolution 660 (2nd August 1990) to 1441 (29th November 2002) – a period of over 12 years – ought not to have been relied upon for the legality of the war. Of course, many continue to have doubts about the legality and those views have been aired at the Chilcot Inquiry notably by Sir Michael Wood QC and Elizabeth Wilmshurst who were, respectively, Head and Deputy Head of Legal Affairs at the Foreign and Commonwealth Office. The “Resolution Trail” is far from easy but it is certainly informative. We certainly have an odd system in our country. Practically everyone with knowledge and experience of international law said it was unlawful. The Attorney-General finally concludes it is lawful. He wins!! Bridget Kathleen Gilderdale was cleared of attempting to murder her daughter Lynn Gilderdale by a jury at Lewes Crown Court. The judge (Mr Justice Bean) thanked the jury for their “common sense, decency and humanity.” Gilderdale had previously admitted assisting the suicide of her daughter. Miss Gilderdale was found dead at their home on 4 December, 2008 and had suffered with ME for almost 17 years (from the age of 14). It is of some concern that the CPS pursued a charge of attempted murder and the trial judge (Mr Justice Bean) criticised the Director of Public Prosecutions. The CPS has defended its decision to prosecute for attempted murder. Gilderdale received a 12 month conditional discharge for assisting the suicide of her daughter. In R (Purdy) v DPP  UKHL 45 the House of Lords held that the Director of Public Prosecutions should draw up guidelines as to the factors to be considered in the decision whether to prosecute a person under section 2. The DPP issued “interim guidance” in September 2009 and a consultation took place up to 16th December 2009. Against this background, the handling of the Gilderdale case by the DPP/CPS has a very unsatisfactory feel about it and it seems likely that more will be heard about this in the days to come. From 1.2.2010, a revised Suicide Act 1961 s.2 is in force - see Coroners and Justice Act 2009 s.59 See also Ministry of Justice Circular 2010/3. In July 2003, Tony Blair received standing ovations when he addressed the United States Congress. He flew on to Tokyo and the news broke of the death of the scientist Dr David Kelly who had, for a decade, advised both the Foreign Office and the Ministry of Defence on Iraq, its weapons of mass destruction and the United Nations' inspection approach towards disarmament and monitoring. “Have you got blood on your hands …”, was the famous and unanswered question which was thrown at an obviously shaken and nervous Mr. Blair. It was immediately announced that there would be an inquiry to be chaired by Lord Hutton. The Hutton Inquiry reported in January 2004. The Oxfordshire Coroner opened an inquest into Dr Kelly’s death but it was adjourned pending the outcome of the Hutton Inquiry. Hutton declared – “I am satisfied that Dr Kelly took his own life and that the principal cause of death was bleeding from incised wounds to his left wrist which Dr Kelly had inflicted on himself with the knife found beside his body. It is probable that the ingestion of an excess amount of Coproxamol tablets coupled with apparently clinically silent coronary artery disease would have played a part in bringing about death more certainly and more rapidly than it would have otherwise been the case. I am further satisfied that no other person was involved in the death of Dr Kelly and that Dr Kelly was not suffering from any significant mental illness at the time he took his own life.” After this finding was announced the Oxfordshire Coroner decided not to resume the inquest. A group of doctors are seeking material on which to base a challenge to the finding of Hutton. It appears that they have been informed that Lord Hutton ruled in 2003 that medical reports and photographs should remain closed for 70 years – see The Guardian 26th January 2010. (An interesting report on inquiries is that of the Parliamentary Public Administration Select Committee 2004 “Government by Inquiry”) This report preceded the Inquiries Act 2005 which would now govern any statutory inquiry and which, interestingly, retains the power of the Secretary of State to set up an inquiry - section 44(4). It would therefore appear that the inquiry material is subject to governmental discretion as to whether it will be released and, if so, when. In 1997 the government published the Open Government Code of Practice on Access to Government Information. However, this made it clear that some categories of information could remain confidential and would do so if “the harm likely to arise from disclosure would outweigh the public interest in making the information available.” Of course, Ministers would be the judge of that! One of the key categories of information which could remain confidential was – “Information relating to legal proceedings or the proceedings of any tribunal, public inquiry or other formal investigation which have been completed or terminated, or relating to investigations which have or might have resulted in proceedings.” From the beginning of 2005, the Access to Government Information Code came to an end. However, in itself, this would not alter any "closure" decisions already taken. It is rather difficult to see what interest there is in keeping this matter under wraps. If Lord Hutton got it right then there should be nothing to fear. Additional information – 26th January 2010 – A report on the BBC website indicated that Lord Hutton did not mind the post-mortem report being released for the purposes of any legal proceedings but he would wish to see conditions restricting the use and publication of the report to such proceedings. The U.K. was a major colonial power. Since the 1960s, many of the former colonies have achieved their independence but from time to time the colonial past comes back to haunt. The solicitors Leigh and Day have brought to public attention a claim by some elderly Kenyans in respect of appalling treatment they allege that they received at the hands of the Kenyan authorities when Britain was the colonial power. See this link. It seems that the British government is arguing that it is now nothing to do with them because of the international law doctrine of State Succession. Of course, it is not unusual for a new (successor) State to assume authority over the territory of an old (predecessor) State. The transformation of a colony into an independent nation is one way in which this occurs and Kenya became independent in 1963. The International Law Commission has been considering the many aspects and problems of State Succession for many years. It could be an interesting one this! I wonder if somehow it might eventually all get settled out of court? Addendum 6th April 2011: "Kenyans sue for UK Colonial human rights abuses" - The Guardian. Also, "Mau Mau victims to give evidence at High Court" - Solicitor's Journal 5th April 2011. Two boys (A and B), now aged 11 and 12, have been sentenced to indeterminate detention for offences against three others (C, D and E). The offences included causing grievous bodily harm, robbery and causing or inciting a child under the age of 13 to engage in sexual activity. The specific details of the offences were particularly nasty. The trial judge, Mr Justice Keith, considered pre-sentence reports and psychiatric reports and went on to set a minimum term of 5 years but emphasized that A and B can only be released when the authorities are satisfied that the risks they pose are such that they can be safely released. Doncaster City Council has published an Executive Summary of a Serious Case Review into the matter. The fact that the full report of the Serious Case Review is not being published sparked an interchange in Parliament between David Cameron and Gordon Brown. Serious Case Reviews developed after the inquiry by Lord Laming into the death of Victoria Climbie in 2000. Lord Laming reported on this in January 2003. In September 2003, the Government published the Every Child Matters Green Paper and responded formally to the Victoria Climbie Report. The Children Act 2004 implemented some recommendations of this report and created Local Safeguarding Children Boards – (Children Act 2004 Part 2 and, for Wales, Part 3). After the death of Baby P in 2008, Lord Laming published, at the request of the government, a Progress Report relating to the Protection of Children in England (March 2009). "SCRs inevitably include a great deal of case material that should remain confidential, not only to protect vulnerable people, but also because SCRs depend upon the cooperation of witnesses, often in a highly charged situation. Without this assurance many would be reluctant to participate in the process, rendering the task worthless." Laming also recognised that the need for confidentiality made it all the more important that Executive Summaries were of high quality. He went on to recommend that the Department for Children, Schools and Families should revise Working Together to Safeguard Children to underline the importance of a high quality, publicly available executive summary which accurately represents the full report, contains the action plan in full, and includes the names of the Serious Case Review panel members. "Although many services tried to work with the family none were able to make an effective change to the behaviour and problems of the boys and their family. There was too much reliance on using agreements and warnings to change their behaviour; this reflected an insufficiently authoritative, consistent and assertive strategy in working with a family who were uncooperative and antisocial in attitude and behaviour. Services were not coordinated well enough. This reflected not enough planning or leadership within the service as well as in the case management itself." There is good reason to be impressed with the present government’s efforts to drive forward the recommendations of Lord Laming and to endeavour to improve the processes in this difficult area. A considerable amount of excellent work is done by local authorities to protect children known to be at risk. This makes it all the more regrettable when an event like Edlington occurs and which was "preventable." The legal powers are there to issue care proceedings – Children Act 1989. It seems that there were more than adequate grounds for the local authority to have done this in respect of A and B and that step might have avoided this tragedy. The visits to New Zealand and Australia by HRH Prince William have attracted considerable media attention. Whilst in New Zealand, the prince opened the new building of the Supreme Court of New Zealand – see BBC and NZ Supreme Court. These nations and many others are all “common law” jurisdictions. Their law and legal system is based on that which developed in England and Wales and which was “exported” as people from these islands travelled and settled elsewhere. This does not mean that in modern times the law is identical in all of those countries but it does mean that the law is based on the same fundamental principles. Within the courts of England and Wales, it is permissible to refer to – (or as lawyers say “cite”) - decisions of courts such as the supreme courts of other Commonwealth nations. They are referred to as “persuasive precedents” because they do not tie the hands of British judges but they might show the way forward on some difficult point of law. Until quite recent times, many Commonwealth nations retained the Judicial Committee of the Privy Council as their ultimate court of appeal. Technically speaking, appeals to the judicial committee are “Appeals to Her Majesty in Council” though the case is heard by judges and “advises” Her Majesty as to the outcome of the case. This continues to be the position for those countries which retain appeals to the Privy Council. 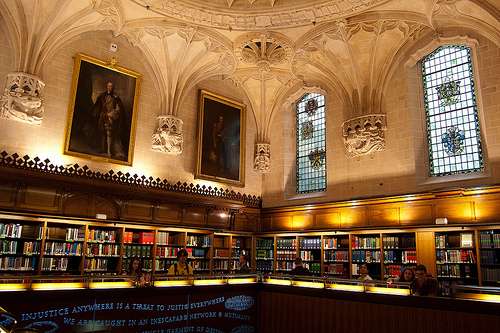 This court now sits in the same building as The Supreme Court of the U.K. and its judgments may be seen here. The Common Law system differs markedly from other legal systems such as CIVIL law systems. A reasonably good description of civil law systems may be seen here and a particularly detailed study may be read at the website of the USA Federal Judicial Centre- (pdf file). Other legal systems developed in Muslim nations – see, for example, the course offered by the School of Oriental and African Studies. It must not be thought that legal systems invariably are influenced by only one of these (and other) systems. “Mixed “legal systems are far from uncommon and the reasons for this will be found in the history of the nation concerned. Scotland and South Africa are two of the leading jurisdictions which integrate English common law with Continental civil law. Quebec in Canada has a legal system based very much on the civil law. A student of English law in the 1960s would have studied almost only the common law system developed over the centuries by the judges and as altered, then quite minimally, by Parliament. This student would rarely have even looked across the English Channel to see the different legal systems of continental Europe though some students of the time might remember with some affection the "The Constitutional Law of Great Britain and the Commonwealth" by O. Hood Phillips. 50 years later, such insularity would be absurd. Since 1973, the U.K. has been a member of what has developed into the European Union and the jurisprudence of the Court of Justice of the European Union owes much to civil law. The U.K. has become multicultural and there are those who press for the law to take account of principles of other systems such as Shariah. Understanding of the different legal traditions of the world is now necessary and is to be encouraged. The law of murder remains one of the few crimes still basically defined by our ancient common law. Parliament has stepped in from time-to-time – (most recently in 2009) - to alter particular aspects of the law. There is now a pressing need for a full and complete overhaul. In essence, a person (D) will be guilty of murder if he unlawfully kills another person (V) and at the relevant time he intended to kill V or intended to cause grievous bodily harm to V. A simple illustration is where D gets a gun, goes to a place where he knows V will be and then shoots V through the heart and kills him. One of the problems with murder is that it covers a massive spectrum of conduct from the terrorist who plants a bomb on board an aircraft to the person who kills another for reasons of mercy or compassion so as to alleviate suffering. The immensely tragic case of Frances Inglis illustrates this. Her trial was held at The Old Bailey before the Common Serjeant of London (His Honour Judge Brian Barker QC) and a jury. She has been convicted by the 10:2 majority verdict of the jury of the murder of her severely disabled son – see The Times 20th January 2010 and she has received the mandatory sentence of life imprisonment (which has to be imposed by the trial judge). She has been told that she will serve 9 years (less days already served whilst on remand) before being eligible for parole. The Law Commission has called for fundamental reform and the Commission proposed a new Act of Parliament involving a 3 tier structure for general homicide offences. Mercy killings are discussed in Part 7 of the Law Commission’s report. They went on to recommend that the Government undertake a public consultation on whether and, if so, to what extent the law should recognise either an offence of ‘mercy’ killing or a partial defence of ‘mercy’ killing. There has been no action on this. I would hope that the government might be spurred on to conduct that consultation sooner rather than later. We are now in the phoney war prior to the general election campaign kicking off proper. A coalition of legal and campaigning organisations, including the Bar Council, Legal Action Group and the Legal Aid Practitioners Group (LAPG), has just launched "A manifesto for justice" setting out important points and principles for discussion in the months leading up to this year’s general election. The manifesto calls for an effective justice system and stresses the importance of good governance and the rule of law. Well worth a read and it is not too long. Unfortunately, the law is generally associated with cost, difficulty and delay. It has been said, sarcastically, that "Justice, like the Ritz Hotel, is open to all." The large costs of bringing a civil case have been looked at by Lord Justice Jackson and he has now reported – see The Jackson report. It is a detailed and lengthy document but it makes important recommendations. The timing of the report might be somewhat poor given the impending election and the fact that implementation of some of the recommendations will require legislation. It is to be hoped that this valuable report is not allowed to gather dust. The Ministry of Justice has stated that it will look at the recommendations in depth and "will set out the way forward in due course." The reactions of some lawyers to the Jackson Report may be read at The Lawyer. Further comment is at Solicitors Journal and Legalweek. The judiciary of England and Wales have a website. It is well worth a look. You will find out a great deal of information about the judiciary. The website also contains links to many judgments and official reports. When asked in a quiz - "What is the highest court in the land" the answer always was "The House of Lords." A more legalistic answer would have been - "The Appellate Committee of the House of Lords." This is no longer the correct answer! Since October 2009, the Supreme Court of the United Kingdom has come into being and has taken over the judicial role previously held by the House of Lords. Unlike its illustrious predecessor, the new court is far more media friendly and keeps its own website. Have a look. It is interesting. In England and Wales, criminal cases are heard before either the Magistrates’ Courts or the Crown Court of England and Wales. Non-criminal cases – referred to as CIVIL cases or matters – are heard by the County Courts or by the High Court or by a TRIBUNAL. In fact, for many forms of civil dispute, it is far more likely that the matter would be resolved by a tribunal. Until recently, there have been numerous tribunals each created by a specific Act of Parliament. Often, each tribunal had its own rules and dealt with matters relating to a particular government department or decision making public agency. This made for a great deal of complexity. Upper Tribunal – divides into Chambers as described here. The European Arrest Warrant - an arrested development. Enjoy your holiday or business trip but be careful what you do when abroad in other EU countries. Step out of line and you could find a European Arrest Warrant following you back home and whisking you off for a stay in a not so nice foreign prison and our authorities will not even try to stop it or defend you. Many people are unaware of the European Arrest Warrant (EAW) even though it has legally existed since 1st January 2004 when the Extradition Act 2003 came into force. EAWs have already been used to transfer thousands of individuals around Europe. In 2008, nearly 14000 were issued and 351 people were transferred out of the U.K. under warrants issued in a requesting country. It appears that the numbers are likely to increase because, from April 2010, the U.K. becomes part of a pan-European system for sending out warrants. Known as the Schengen Information System II (SISII), a database will include alerts for wanted persons within the European Union and will therefore be the means by which European Arrest Warrants (EAWs) are transmitted and received. The EAW system is based on mutual recognition between countries. Although the Extradition Act 2003 contains some safeguards, in reality the whole process is based on a seriously flawed assumption that all European member states offer the same standards of fairness and treatment of suspects, defendants and prisoners as eachother. On 13th August 2009, The Times carried the story of a person extradited for stealing a mobile telephone. The Europa website gives further information about these arrest warrants. They were implemented in English law by the Extradition Act 2003 – (read the Act as originally enacted). The Home Office Police website gives further factual information. ”Fair Trials International” campaigns for a fairer system of extradition within Europe. The recently decided case of Mann v City of Westminster Magistrates’ Court  EWHC 48 (Admin) shows some of the problems inherent in the system of EAWs. In particular, note carefully the need for notices of appeal to be issued within the short time limits allowed. Law and Lawyers is a new blog. Please let me say from the outset that this blog does not seek to offer legal advice and should not be used for that reason. Anyone with legal problems should seek professional advice. Links to other blogs or websites may be included in posts but I bear no responsibility for the content of such external sites. "They have but few laws, and such is their constitution that they need not many. They very much condemn other nations, whose laws, together with the commentaries on them, swell up to so many volumes; for they think it an unreasonable thing to oblige men to obey a body of laws that are both of such a bulk, and so dark as not to be read and understood by every one of the subjects. They have no lawyers among them, for they consider them as a sort of people whose profession it is to disguise matters, and to wrest the laws; and therefore they think it is much better that every man should plead his own cause, and trust it to the judge, as in other places the client trusts it to a counsellor. Every one of them is skilled in their law, for as it is a very short study, so the plainest meaning of which words are capable is always the sense of their laws. And they argue thus; all laws are promulgated for this end, that every man may know his duty; and therefore the plainest and most obvious sense of the words is that which ought to be put upon them. That is certainly not the case with modern English law. It is my hope that, from time to time, this blog will throw at least a little light on the laws which govern us and the lawyers who implement those laws.